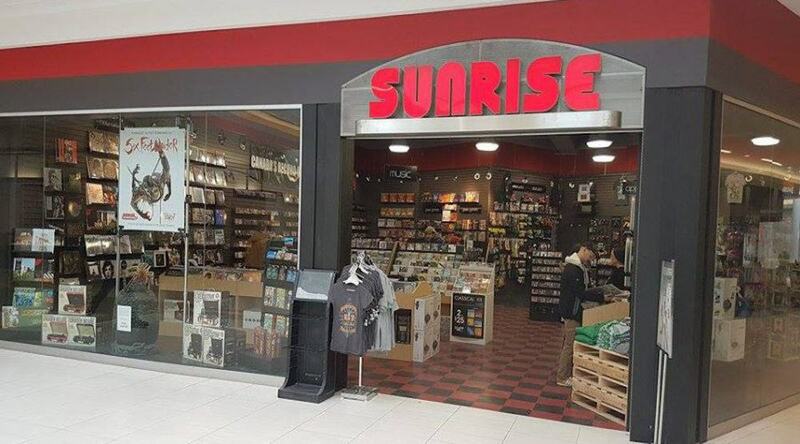 As HMV Canada moves out, Sunrise Records moves in. Just weeks after HMV announced it is shutting down across Canada, Ontario-based independent music retailer Sunrise Records announced it will take over 70 of HMV’s previously owned locations. The expansion will include major markets from coast-to-coast: from British Columbia to Quebec and on into the Atlantic provinces. The acquisition includes locations at Metrotown in Burnaby, BC, Polo Park in Winnipeg, MB, Limeridge Mall in Hamilton, ON, Square One in Mississauga, ON, Promenades St-Bruno in Saint Bruno, Quebec, and the two-level, 20,000 square foot store in West Edmonton Mall. “Sunrise has always strived to offer superior service and a wide range of products at reasonable prices to its loyal customers. We are excited to bring Sunrise nationwide, and would like to thank all of the suppliers and landlords who worked so closely with us to allow us to be a destination for physical music in Canada,” said Doug Putman, president of Sunrise Records in a press release. More locations are expected as details of the major acquisition is finalized. Sunrise Records currently has 9 stores in Ontario. It’s been one of Canada’s biggest supporters of Record Store Day, and is committed to expanding the annual event across the country. It plans to carry over 2000 titles of vinyl in stock at all locations to meet the current demand for vinyl (because who really buys CDs anymore). It will, however, also carry CDs, and include an apparel section, as well as licensed figures, plush characters as well as an extensive selection of board games to each store. Part of the expansion announcement includes a commitment from Sunrise to hire HMV employees who want to continue their career in the music industry, according to the release. “We want to let any former HMV employees know that we are opening, and we want to hear from them,” said Putman. Sunrise Records began as a single store located at 237 Yonge Street in Toronto. It has since expanded in Ontario, and now across Canada. Current Sunrise president Putman took over the reigns in 2014 with the vision to revitalize and expand the chain.